I vividly remember the family I grew up in. It wasn’t perfect by any stretch. I remember my mom and my dad and what it was like to be their child. No matter your family situation, most of us remember who our parents were. It seems almost silly to say, but sometimes I forget who my heavenly Father is and who I am in Him. I have a good, good Father. My ability to walk through whatever this day holds can stand firm because of Him and because I’m his child! Take a moment to read some scripture today to affirm your place as a child of God. 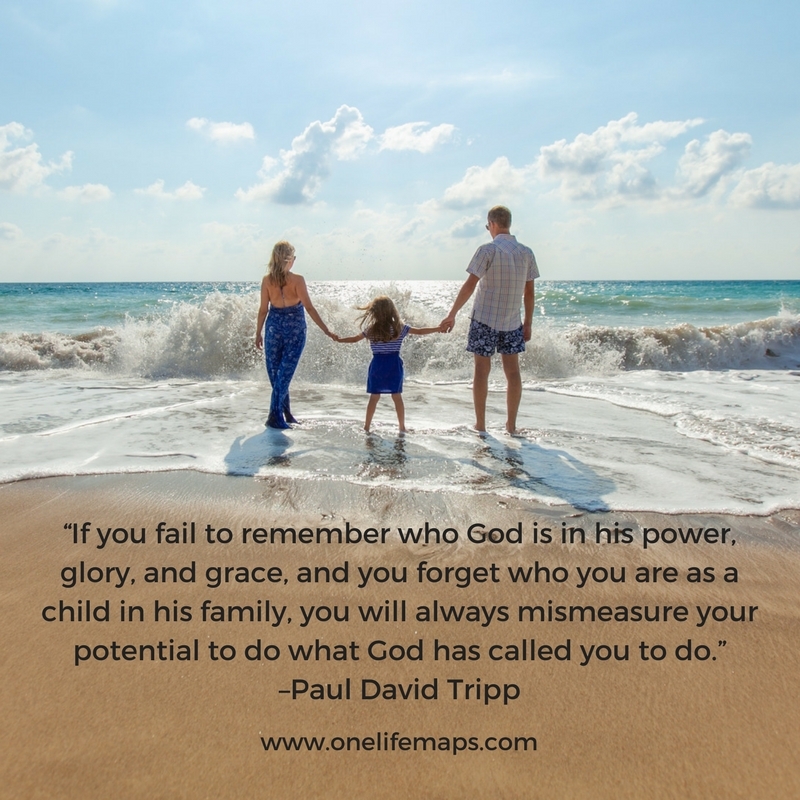 Be reminded of who your heavenly Father is in his power, glory and grace. Ask God in prayer for the courage to walk boldly in your identity found in Him. 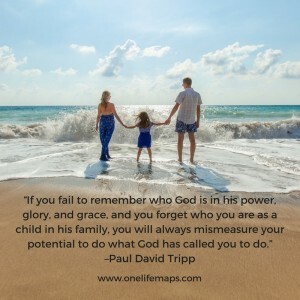 The action of taking a moment to remember who I am to my Father is brilliant! We get so caught up in our earthly day we don't think about this. If we did carve out even a moment - using a poster or a reminder on our calendar at a certain time - it would be so much easier to be the person God wants us to be, to follow the calling He has given us. “I have called you by name, from the very beginning(1) You are mine and I am yours(2). You are my Beloved, on you my favor rests. I have molded you in the depths of the earth and knitted you together in your mother’s womb(3). I have carved you in the palms of my hands(4) and hidden you in the shadow of my embrace. I look at you with infinite tenderness and care for you with a care more intimate than that of a mother for her child. (5) I have counted every hair on your head(6) and guided you at every step(7). Wherever you go, I go with you, and wherever you rest, I keep watch(8). I will give you food that will satisfy all your hunger and drink that will quench all your thirst(9). I will not hide my face from you(10). You know me as your own as I know you as my own. You belong to me. Nothing will ever separate us(11)."